Photos by, clockwise from top left: Lisa Wielinga, Jenn Burt, Natalie Graham, and Rebecca Segal. This species is aptly named: numerous small blades line the long, flattened stipe, giving the species a furry, feather boa-like appearance. These blades are around 5 cm long, and range from broad to thin and pine needle-like. Some blades form spherical or elongated floats. It is anchored into place by a large holdfast that can reach 25 cm across. The stipe is branched at its base near the holdfast. There may be a dozen of these branches, each of which could grow up to 15 m long (though they are usually shorter). 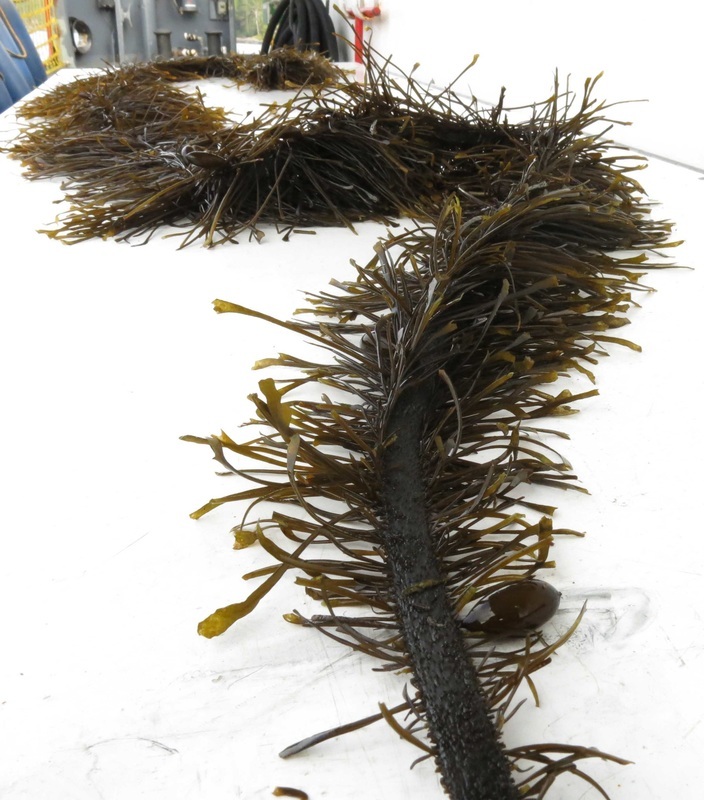 Feather boa kelp is phylogenetically classified as a brown seaweed (Phylum Phaeophyta), but ranges in colour from olive green to dark brown. 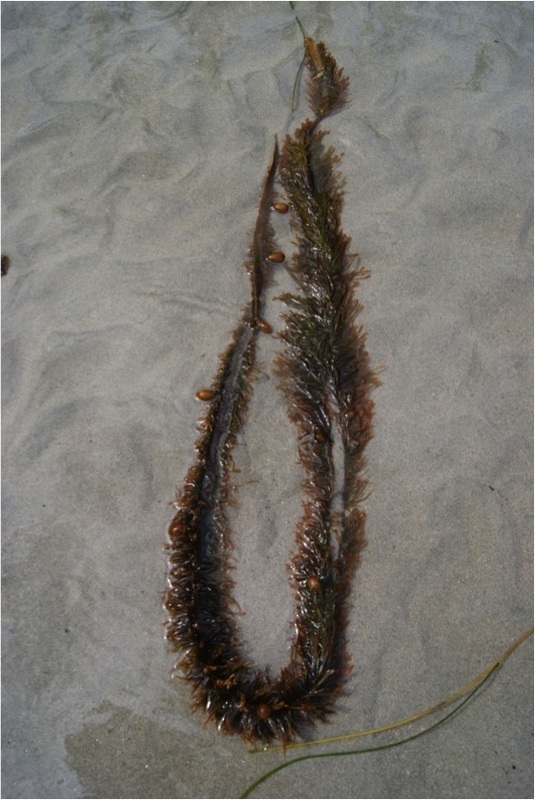 It is one of the larger brown kelp species found in the intertidal. 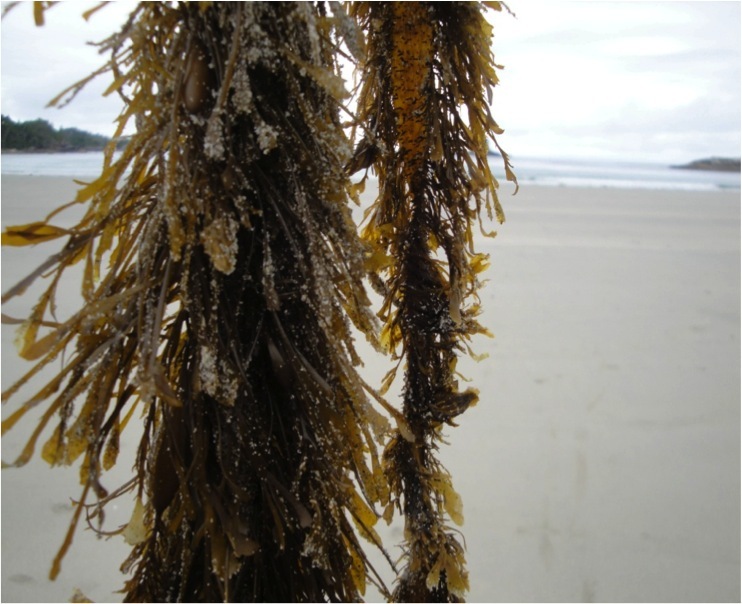 Feather boa kelp grows on rocks in subtidal and mid-intertidal areas to a depth of 20 m. It is generally found along open coast shorelines that are partially exposed. Its range stretches from Alaska to Baja California. 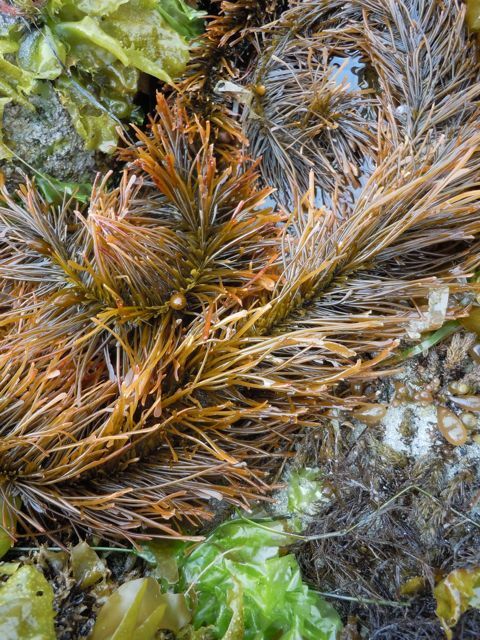 It is often found with Macrocystis. The tall-shelled seaweed limpet (Notoacmaea incessa) lives and feeds on the surface tissues of feather boa kelp. O'Clair, R. and Lindstrom, S. Egregia menziesii (Turner) Areschoug. In Klinkenberg, Brian. (Ed.). E-Flora BC: Electronic Atlas of the Plants of British Columbia. Lab for Advanced Spatial Analysis, Department of Geography, University of BritishColumbia, Vancouver. Accessed 22/08/2013.